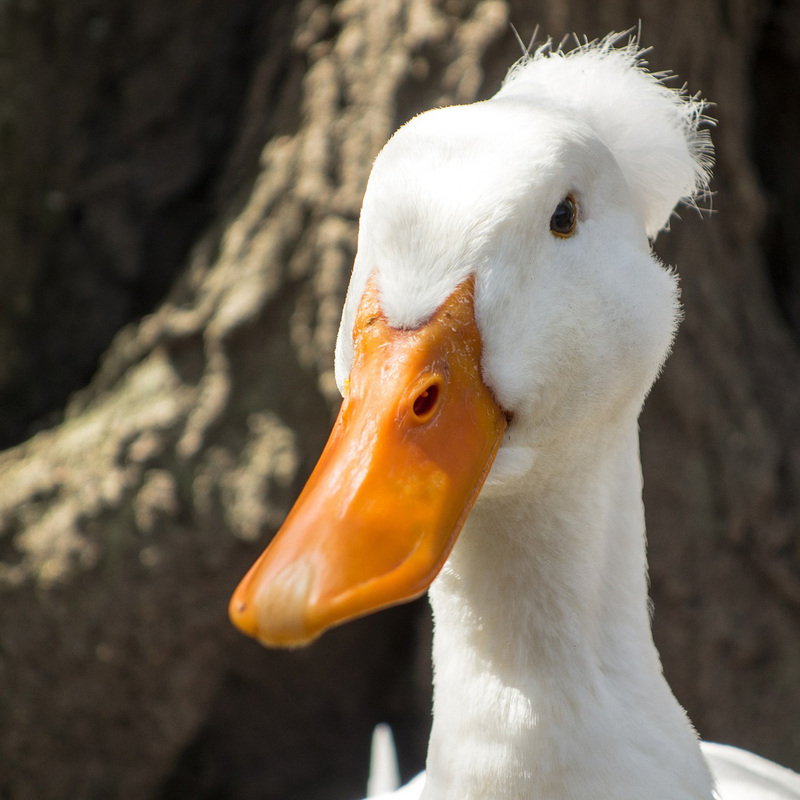 Intracranial lipomas are a congenital malformation which occur in 82.3% of domestic ducks with feather crested heads. The feather crest is situated on top of a cushion of fat and connective tissue in the parietal part of their skull (this differs from crested chicken breeds, where their crest is situated on a bony protuberance). Incoordination (ataxia), which may appear as a tottering walk. If ducks fall on their backs, they aren't able right themselves. The length of time before neurological signs start to develop can vary and can be present upon hatch or may not start to show until several weeks to months later. Radiographs often show evidence of various cranial deformations and/or atypical ossified structures in the crest cushions. Radiographs - Perforations of various sizes in the parietooccipital calvaria. Necropsy - Yellow intracranial masses in the brain. Surgery A craniectomy was performed successfully on a duck by Yaw TJ without any postoperative complications. However, the duck's owners asked for the veterinarian to perform euthanasia on the duck 5 months later because the duck was not interested in swimming in a water enclosure.